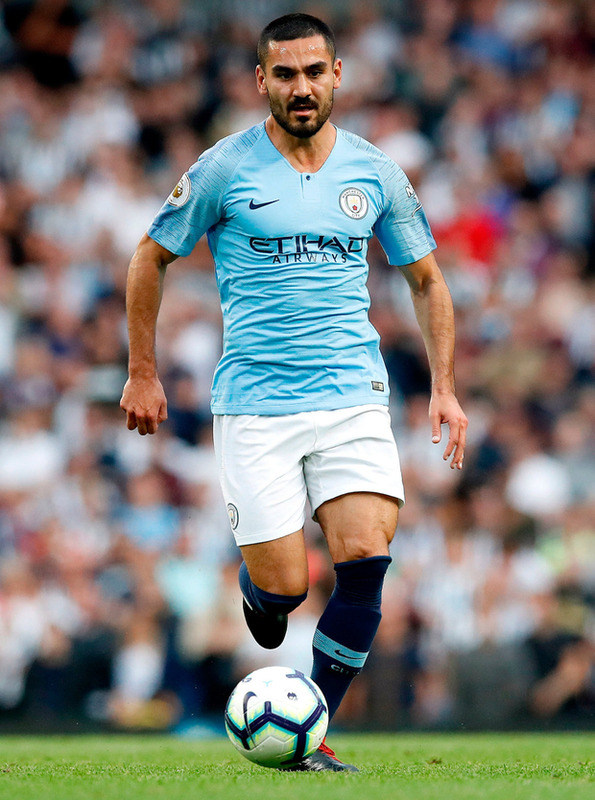 Ilkay Gundogan has claimed Manchester City still suffer from stage fright in the Champions League and cannot be classed as a "big team" until they address that failing. City are facing an uphill fight to reach the last four of the Champions League for only the second time after Tuesday's 1-0 defeat away by Tottenham in the first leg of their quarter-final, which placed Pep Guardiola's tactics in Europe under fresh scrutiny. Guardiola's decision not to start Leroy Sane and Kevin De Bruyne in London backfired and the City manager then compounded that mistake by not introducing the pair until the 89th minute. Sane's increasingly peripheral role is understood to have bewildered some of his team-mates and dismayed the winger, who believes he deserves to be playing more. Sane was surprisingly overlooked for Riyad Mahrez, who has struggled badly since his club-record £60 million move from Leicester City last summer and performed poorly. Gundogan believes City did not respond well to Sergio Aguero's missed penalty in the 12th minute and still have a lot to learn in the Champions League. "We were not brave enough in the game, there were many simple mistakes," the City midfielder told Sky Germany. "I have the feeling that we are nervous in important Champions League games. We have always made the wrong decisions. In such games, we always want to do something special because it means: Champions League semi-finals. Sometimes less is more. "After the missed penalty came the break. Such negative experiences always throw us back too much. If we put the penalty in, we would have taken Tottenham apart. That's how we got out of the game. That must not happen to a big team." Perhaps with the Monaco and Liverpool games in mind, Guardiola opted for a more cautious approach at Spurs but City struggled to create much, with the likes of Mahrez slowing their attack. "You see we played a little bit different, especially in a defensive way with two holding midfielders," Fernandinho said. "We tried to close the midfield because they try to concentrate their game in the middle. We are going to see if Pep likes it for the next game, otherwise we will change and try and win the game." Sane's predicament has become particularly hard to fathom. Since the 2-1 defeat at Newcastle United in late January, when Sane struggled and was substituted and Guardiola tore into his players during a 30-minute dressing-room inquest, the 23-year-old has started just six of City's 15 matches and only three of the past eight. He has not started any of the club's biggest games in that period - Arsenal and Chelsea in the league, when he failed to get off the bench in both, Schalke and Spurs away in the Champions League and the FA Cup semi-final against Brighton on Saturday, when he was an unused substitute for the fifth time in this 15-game period. Over that time, he has completed 90 minutes on just three occasions - the 4-1 win against Newport in the FA Cup, the 7-0 battering of Schalke in the Champions League and last week's 2-0 victory over Cardiff.